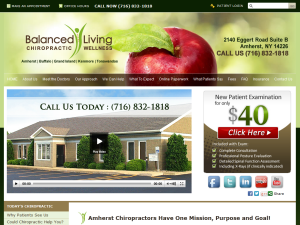 Balanced Living Chiropractic Wellness serves Amherst residents with Balanced Spinal Specific Adjusting (BSSAT) chiropractic approach. 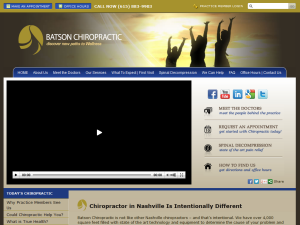 Offering chiropractic care, rehabilitation, and wellness from convenient location in the Donelson area of Nashville. 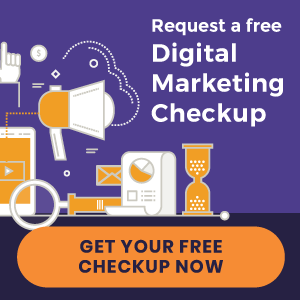 Also provide Spinal Decompression, Massage Therapy, BrainCore neurofeedback, nutritional evaluations and labs, Vitamins and Supplements, DOT physicals, and many more. 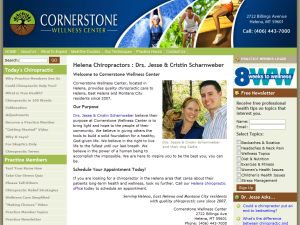 Cornerstone Wellness Center offers Helena residents with quality chiropractic care using primary adjusting techniques such as Thompson, Diversified, Gonstead and Activator Methods®. 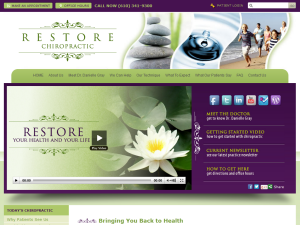 Life Chiropractic College West graduate provides chiropractic care for the Main Line, Wayne and Villanova neighborhood in Main Line, PA.
Palmer West Chiropractic College graduate serving Roseville/Granite Bay communities since 1999 with Diversified, Activator Methods®, SOT, Webster and Network Spinal Analysis techniques. 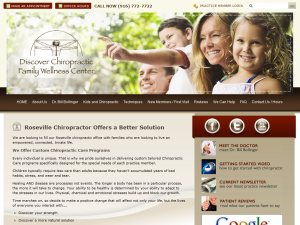 Also provides chiropractic care for kids. 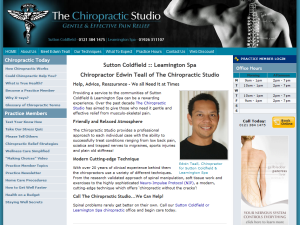 Offering chiropractic care using Diversified, Applied Kinesiology, Neuroimpulse Protocol (NIP) and Neurological Integration System (NIS) in two convenient locations, Sutton Coldfield and Leamington Spa, UK. 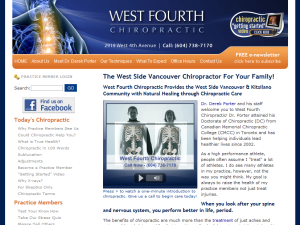 Canadian Memorial Chiropractic College graduate serves Lower Mainland with Diversified, Thompson, Torque Release, and Applied Kinesiology adjusting methods. 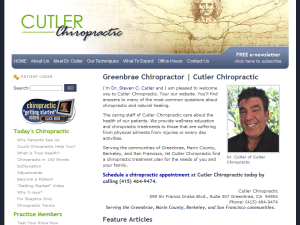 Western States Chiropractic College graduate serving Marin County and Bay Area community since 1979 with SOT, Applied Kinesiology, Activator Methods®, Directional Non-Force Technique ( D.N.F.T. ), BioSET Allergy Elimination Technique. Also provides Nutritional Support.